Designed for comfort 75 air conditioned Rooms including 7 Suites ,10 Executive Huts ,50 Super Deluxe & 8 Deluxe rooms that are tastefully appointed to make you feel at home. 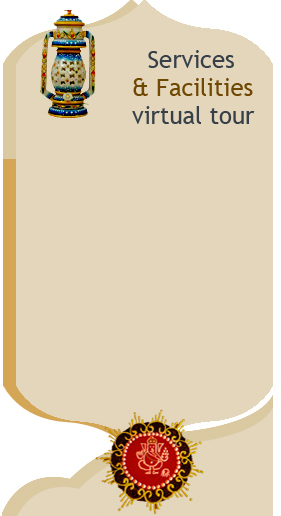 Everything from the room layout to the decor has been meticulously planned to provide an experience you will value. Providing you with unmatched standards of sophistication and convenience, the conductive environment at large spacious rooms in Holiday Resort complements your luxurious lifestyle with our un-interrupted power supply. Rooms richly and tastefully adorned with ethnic decor, offer all comforts plus that unique ambience that we are famous for. These rooms are built in village style and are equipped with all facilities.Apano Holiday Resort provides memorable overnight stay in their cottages,colorful nights in deluxe rooms in the villas, Lush green lawns and facilities for open conferences, seminars, parties are some added attractions. Hotel Apano Rajasthan has beautifully appointed guestrooms, adorned with thoughtful amenities and special touches are graced with original works of art and furniture. The hotel is truly reminiscent of the grand hotels of India with its stylish sophistication and sweeping elegance throughout. At Hotel Apano Rajasthan , style and tradition go hand-in-hand. All our rooms have a serene green view with abundant natural light. 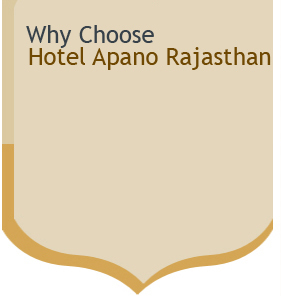 Hotel Apano Rajasthan ensures that all guests with special needs are cared properly. The property has been designed with all facilities for the guest.If you are looking for luxury accommodation in Jaipur, then we offer you the best blend of village resort living in an urban location.